Tasting Note: Bright and clear with a pale golden hue. Lifted aromas of white peach, pear blossom and ginger spice. On the palate, ripe pears with nectarine and orange peel; and creamy texture which enhances the rich fruit flavours. A spine of fine, balanced acidity leads to a long mineral-infused finish. 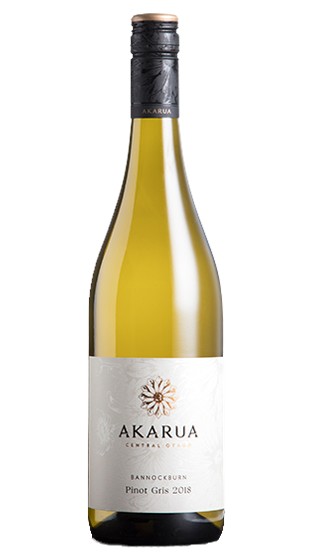 Well-structured with both the richness and poise that typifies Akarua Pinot Gris.